I always thought I understood what it meant to know God. Read the Bible, and you’ll know God, right? That’s what I thought, at least. But there’s a real difference between knowing God and knowing about him. One of my favorite Christmas movies is “Elf.” [Buddy] says, “Santa, I know him!” He’s saying, “I have experienced him,” right? It’s not, “Santa, I can name 10 things that are true about him.” It’s, “Santa, I have encountered this person,” so there’s a familiarity, so that I can say, when I step into that, I know God is in that, because I know God, because I’ve experienced God. Toward the beginning of her book, Downs makes what some might interpret as a watered down, somewhat blasé statement. “God doesn’t disappoint,” she writes. How can that be true, though? How can God not disappoint when, so often, life leaves all of us — at one time or another — utterly disappointed? Downs said we need to “let God protect his own name” because he’s “not asking us to protect his reputation.” Instead, he wants us to tell the truth of the experiences we’ve had, the hardships we’re wrestling through. Maybe that’s experiencing God — realizing, even in our present chapters, whether good or bad, that our Creator is authoring grander stories in each of our lives that aren’t yet complete. For Downs, the roots of this realization came when she was playing a game of Chutes and Ladders, where everything is left up to chance, with one of her friend’s five-year-old son, Troy. There’s no rhyme or reason to the game. Just luck. “I need us to throw that game board away and see ourselves playing a different game — not against each other, but alongside each other,” Downs writes in her new book. There it goes. Out into the wild. Into your hands and hearts and bookshelves. Life for the Christian, she explained, is less like Chutes and Ladders and more like a game of solitaire. After the cards have been dealt and the piles have been stacked, you start moving, strategizing, configuring and reconfiguring until every card is in its rightful place. That’s a better illustration for life. So as we’re shifting, evolving and growing, we don’t always need answers. Sometimes we just need friends — the body of Christ — to come alongside us. Because God will show up, and does show up, in the communion of his saints. More often than not, life’s greatest uncertainties will birth our most certain experiences with the Lord. 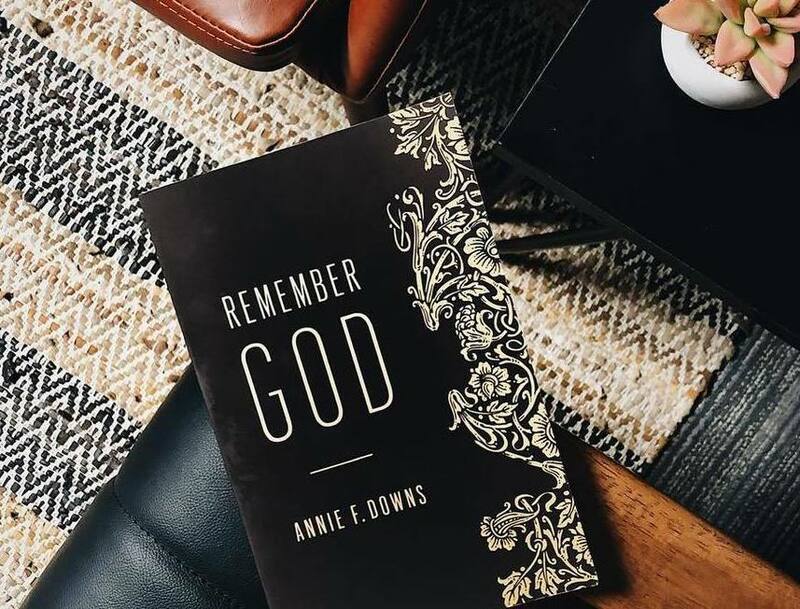 “Remember God” is available now wherever books are sold.